Lip gloss gives your smile shimmer and shine. My obsession with gloss multiplies every year. 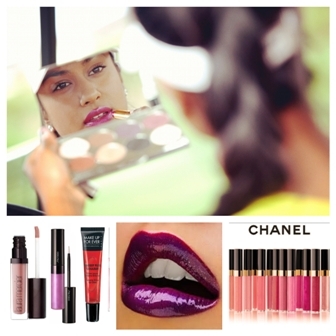 I have almost certainly tried every brand of Lip Gloss in the cosmetic world, but being an athlete, what gloss performs best with active women? Being an athlete and being active in the sun, I try to find a lip gloss that has SPF to protect my lips. I usually carry 3-4 SPF glosses in my golf bag and try to reapply every 30 minutes to protect my lips and stay glamorous, but understand that there are health benefits too. Lip Glosses tend to get pricey. Figure out your price point and what you are willing to spend, this will also depend on the cosmetic brand. I love shopping at places like Sephora and Ulta because their sole focus is on cosmetics. A variety of beauty products are bulked together and it is a good way to check out new brands while you comparison shop within your price range.